Nations Press feature news "Horror Movie Queen"Lilia Cuntapay, Asks Medical Assistance from Her Colleagues! "Horror Movie Queen"Lilia Cuntapay, Asks Medical Assistance from Her Colleagues! SPONSORED LINKS Everyone who has ever watched a horror movie or TV show in the Philippines could probably recognize award-winning actress Lilia Cuntapay – who wouldn’t, anyway? After all, she has starred in over 70 horror films, including the most popular ones such as the “Shake, Rattle, and Roll” series. 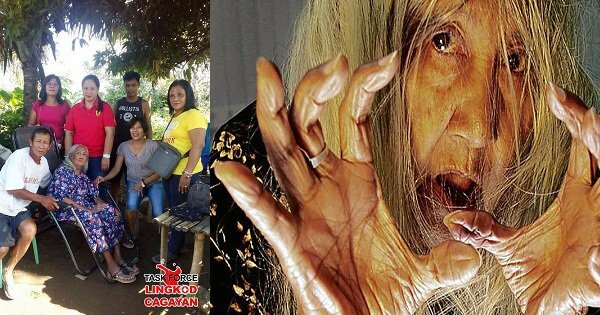 In her decades of being in the horror film industry, Cuntapay has played various roles but most had her portraying an ‘aswang’, white lady, or a ‘manananggal’. But while she made people scream with her scary characters, the 81-year-old is now appealing for financial assistance from the public as well as from former film directors and co-workers. Since July 5, Cuntapay could no longer walk unassisted – and this was believed to be due to a spinal cord problem but unless she receives enough money to pay for her medical bills, she will remain in pain and unable to .The video of the 81-year-old actress was posted on the official Facebook page of the Cagayan Provincial Information Office. “Kung mahal niyo pa ako, any help will do [If you still love me, any help will do],” she pleaded to her colleagues, including Comedian Vice Ganda and Ang Probinsyano star, Coco Martin.